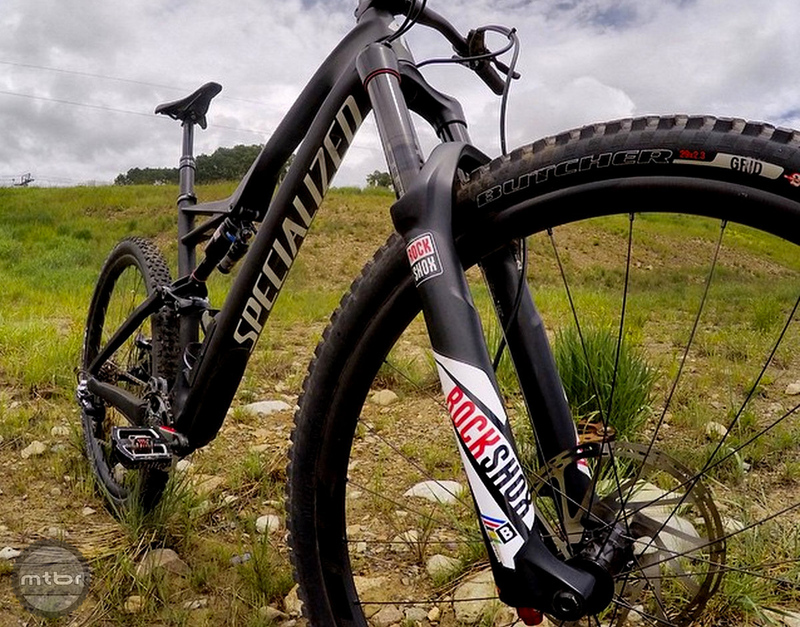 Today, RockShox introduced the latest revision of the Lyrik. It is a big-hit single crown fork that can now take on even more with configurable travel from 160mm to 180mm. The Lyrik helped bring RockShox back into the limelight, but it has not been updated in a while, offering only 26er sizes with older dampers. 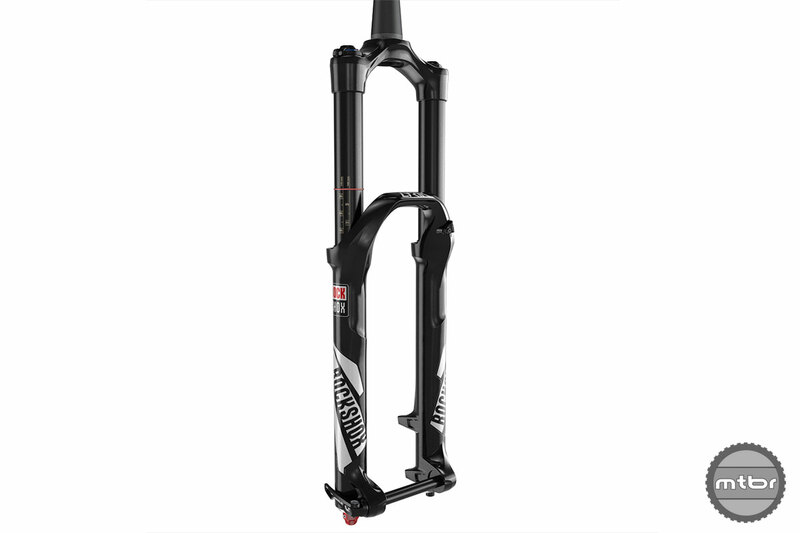 Recognizing the popularity of longer travel forks without having to go to a dual-crown fork, RockShox put all their new technologies in the Lyrik and upped the travel to 180mm. This fork gets the fabled RCT3 damper and all the new options, such as Torque Caps to increase stiffness and Boost 110 to allow stiffer wheels and Plus size tires. The weight is quite respectable too at 2,005 grams or 4.42 lbs. 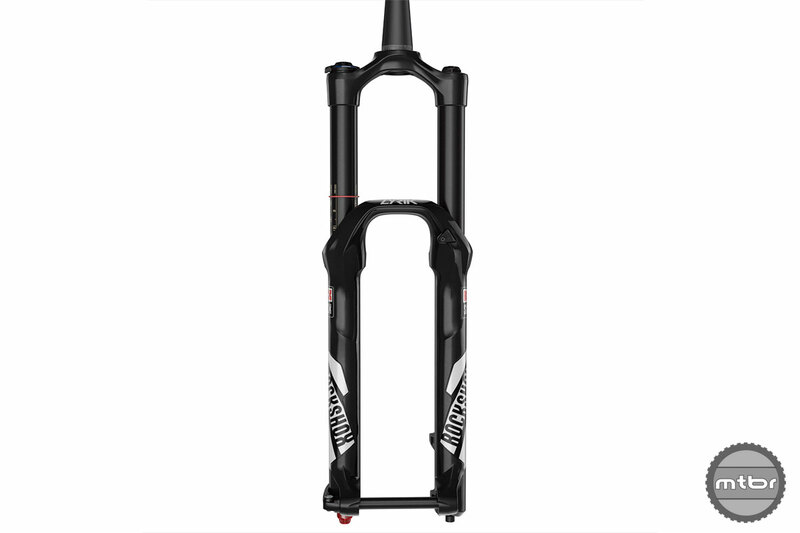 The RockShox Lyric is a big-hit single crown fork that can now take on even more with configurable travel from 160mm to 180mm (click to enlarge). The Lyrik fork has been updated to be stiffer and have a longer travel option all the way to 180mm on the 27.5 and 29er wheel sizes. The 35mm chassis has been stiffened as the fork has been updated with the Torque Cap and Boost 110mm compatibility. It is available in 160mm-180mm travel options for 27.5” and 150mm-160mm for 29”. The new RockShox Lyric has been updated with the Torque Cap and Boost 110mm compatibility (click to enlarge). I have been deeply disappointed by Rockshox unwillingness to keep going with spring based shocks. Just because some light weight pro riders like it does not mean that it’s the best choice for everybody. I have always ridden on coils and I like that they are low-maintenance and super-supple. In what way is the Yari different from the Pike? Apparently the Yari uses the same internals as the Revalation but in the chassis of the Pike. I just got one and love it. Have NOT ridden the Pike so don’t know how much better the Charger damper is but it was a huge upgrade from my F29 Fox.